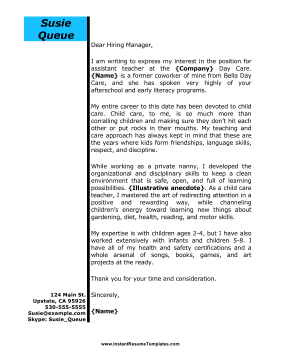 Day care teachers and nannies can use this sample job cover letter that is designed with a modern vertical stripe and striking blue header.Match the set! Create a unified and professional application by pairing this cover letter with the matching resume here. More sample cover letters can be found at CoverLetterExamples.net.